“Prophets are paternal brothers [sons of one father by different co-wives]. Their mothers [mother tongue, motherland. and religious community—Umma comes from Um, ‘mother’] are different; but their religion [from the one God] is one.” (Bukhari Vol. 4, Book 55, #651 and Muslim, Book 30, ##5834-5836). This means that Muhammad and Moses are among the brother prophets of the One God. Thus the similarity of some Qur’an and Hadith statements to Torah and Rabbinic statements should surprise no one. 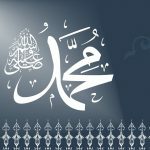 In fact, the charge by some polemicists that Prophet Muhammad must have taken his teaching from the Jews of his acquaintance implies that God could not, or would not, have given the same or similar message or directives to two prophets or two peoples in separate historical or cultural settings. 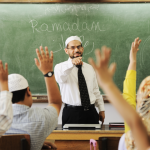 One example of Muslim and Jewish sameness or similarity is the subject at hand. The Muslim new year, 1440 H, began with the new moon arriving on Tuesday evening September 11, 2018, making it the first day of the Islamic month of Muharram. The Jewish new year, 5779 , began with the new moon arriving on Sunday evening September 9, 2018, making it the first day of the Jewish month of Tishri. The Day of ‘Ashura for Muslims will follow on Thursday, 20th September, the 10th of Muharram. Muslims intending to fast on both the 9th and 10th of Muharram fast Wednesday, the 19th, and Thursday, the 20th of September 2018. Jews fast on Yom Kippur, the 10th of Tishri, from the evening of September 18th till sunset September 19th. Thus, this year Jews and Muslims both fast on the same day, the 19th of September. Since the Islamic calendar is totally lunar, and the Jewish calendar is lunar, adjusted by solar requirements, [i] the months of Muharram and Tishri overlap only once or twice each generation. What do Muslims and Jews commemorate when they fast on this day? Evangelical missionary Islamophobes often claim — since Jews do not fast on Passover, the Jewish holy day that celebrates the exodus from Egypt— that this hadith proves that Prophet Muhammad cannot be a true prophet. From a Jewish point of view, this claim is absurd. The Torah states unequivocally that in celebrating this blessed day when Allah saved the Children of Israel from their enemy, the whole Jewish nation should for seven days refrain from eating any yeast-filled baked grain. Since the fast of Yom Kippur is a total fast like Ramadan, Jews do not usually call this seven day anti-leavened restriction of Passover a ‘fast,’ even though Catholic and Orthodox Churches still refer to any religious dietary restriction —such as meatless Good Friday— as a ‘fast.’ Medina’s Jews seem to have totally fasted on Yom Kippur. In addition to the self-denial alluded to above, we are also told in the Biblical book of Leviticus that on this day the High Priest would perform sacred rites in the Holy Temple in order to achieve expiation of the people’s sins. In rabbinic literature, Yom Kippur is the culmination of the Ten Days of Repentance following Rosh Hashanah, the first day of the Jewish new year. To the rabbis, this period marked the beginning of a spiritual trial for the souls of Israel. The 10 days of repentance could then be seen as a time for self-examination, and Yom Kippur marked its climax, whereupon God, the true judge, would decide the fate of all of Israel as individuals and as a community, and hopefully inscribe them into the Book of Life. The rabbis follow through on the biblical theme of self-denial in their discussions of the daily pleasures from which one must abstain on Yom Kippur. Among them are eating, drinking, bathing and anointing oneself, wearing leather-soled shoes [at the time the most comfortable option], and abstaining from sexual relations. The Muslim will recognize the similarity of the Jewish practices to their own rules of fasting. For one thing, Jews —as followers of Prophet Musa— and Muslims —as followers of Prophet Muhammad— should be in the business of harmonizing our scriptural statements, whenever possible, rather than making them contradictory to one another.